This year is different to any other school year. 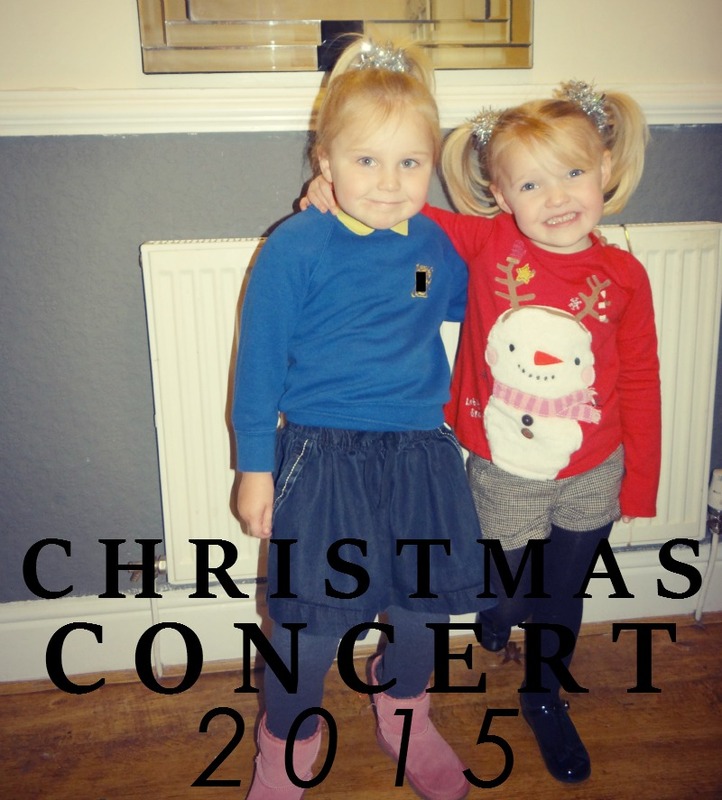 This year is Elliw's first ever Christmas concert. To think last year she was sat in the pram watching Mia and this year she is a part of it. But it was a little different this year. I was really looking forward to watching both my girls on the same stage on the same day and night, but the school decided to do the Nursery Class concert separately. Which did work out better in the end, even though we had to spend more for tickets. The first concert was Mia's on the 10th December. 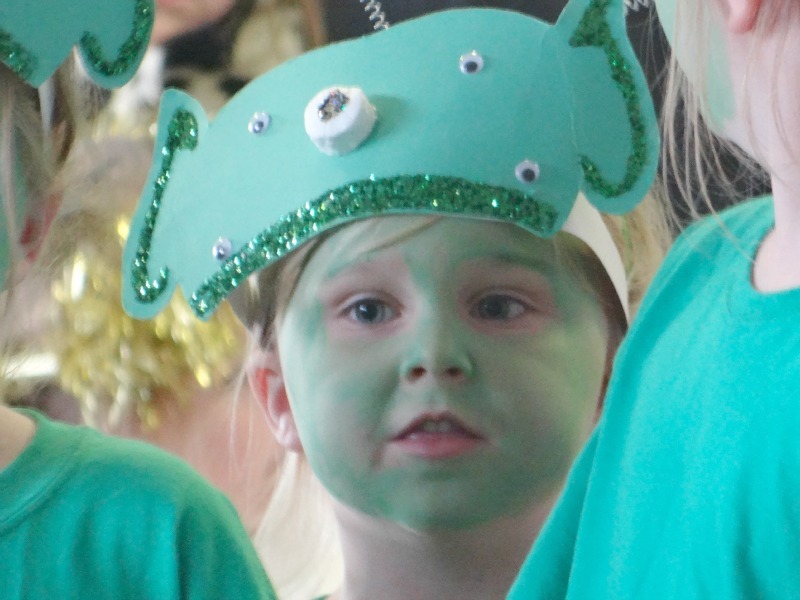 Mia had been going on for a while that she is an alien in the Christmas concert. I wasn't quite sure why there were aliens but it was a part of their show. I must admit the show was fantastic. The singing was great - they also sang their own version of the famous 'Let it Go' by Frozen. Fantastic. They also sang the welsh version of 'Hallelujah' which was fantastic and gave me goosbumps. The only downfall was Mia was stood behind some really tall kids (a year older than her). It was a shame because I couldn't really see Mia singing or take proper photos of her either. There were some times when we couldn't see her at all because the children in front were so tall and actually stood right in front of her. But other than that, the show was fantastic. 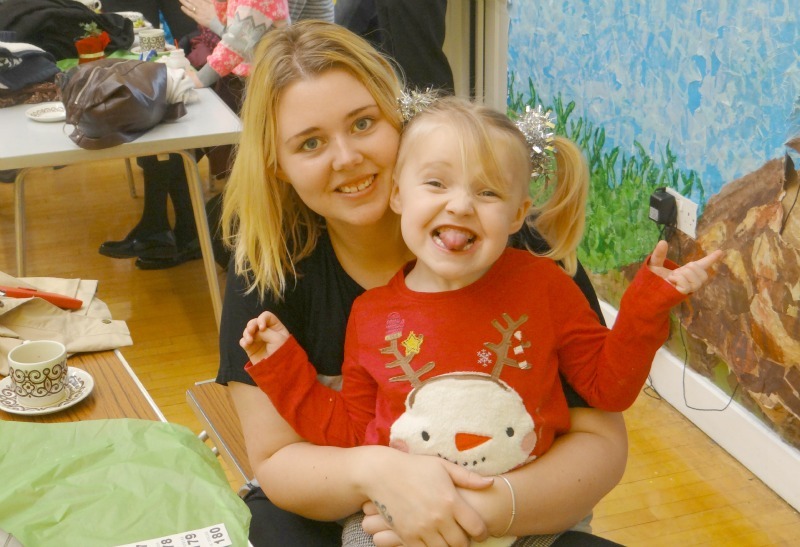 Elliw's Christmas concert was on two days. One on the 16th in the morning and another on the 17th in the afternoon so it gives a chance for most parents to come. In the money you had to pay to go in you get a cup of tea, coffee, biscuits and a DVD of the Christmas concert. The concert was in the school hall. 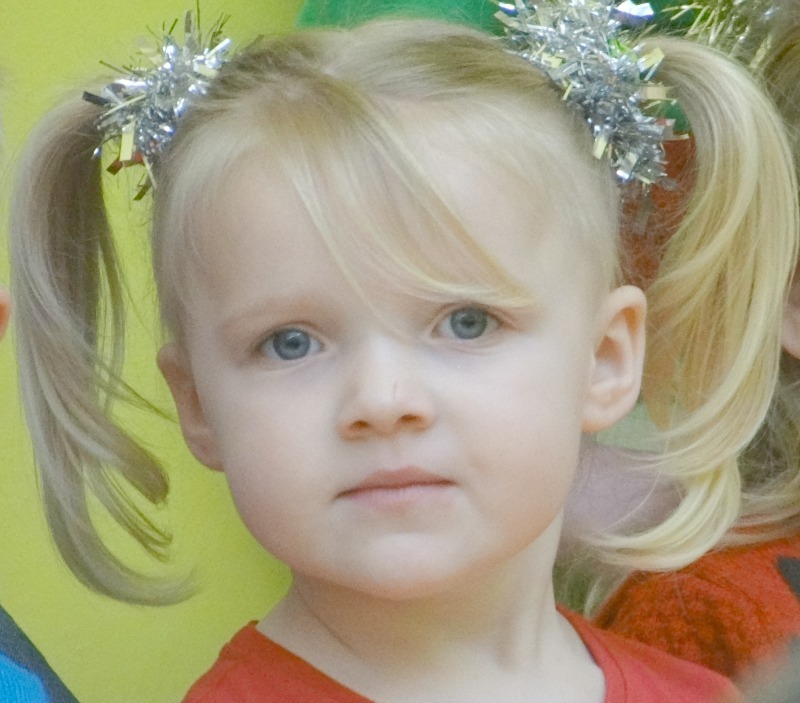 The children sang 4 songs then they were allowed to come back to the parents or play, colour or have a cake/biscuit. 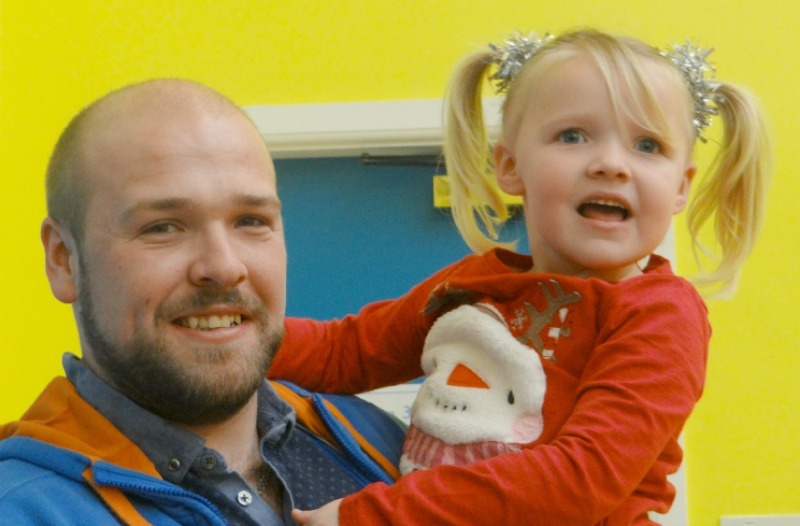 They had about half an hour break which was also a chance for parents to chat too with a cup of tea. They then sang another two songs before finishing the concert. Elliw did really well for her first concert. At first when I saw her walking in, she looked really scared as if she didn't know why she was there. She sang most of the songs and near the end she did the most funniest faces ever. Her expressions were just hilarious! I am really proud of my girls. Aaah it's SO lovely that you've captured all this!! You'll be so pleased one day, when you look back over it all!! I can't wait to see the boys in their first concert or nativity!! I think I'll be in floods!! :) No wonder you're so proud of your girls, they're adorable! Awww adorable. looks like a lovely concert. I love watching my little one in his Christmas concerts. Her face is just too funny in the video. Well done. Love the jumper. Chloe has it too. This is lovely. Such a cute video and those facial expressions are priceless. An actress in the making. Thank you for sharing. 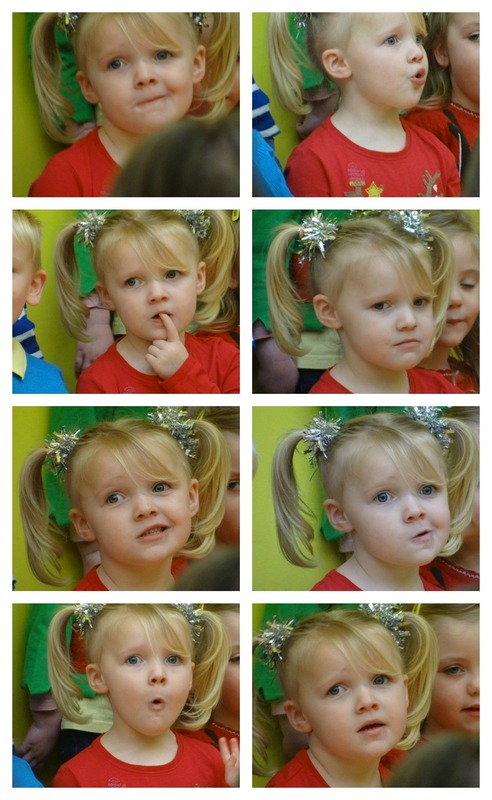 Aw I miss mine being small enough for school Christmas plays! I used to love watching all the teeny people in them :) Thanks for linking up to #PicknMix, have a brill Christmas!